On the heels of an unprecedented court order that would require Apple to build a software “backdoor” to help the FBI break into an iPhone, digital rights group Fight for the Future is calling for nationwide rallies outside Apple stores to demand that the U.S. government drop its dangerous request, which would undermine the safety and security of millions of iPhone users worldwide. A separate website for the protests will be launched later today. iPhone users and civil liberties supporters will rally outside Apple stores one week from the date of yesterday’s court order, at 5:30pm local time in each city on Tuesday, February 23rd. Protesters will be encouraged to bring signs, but will also have the option of loading a “Protest Sign” on their phone using Fight for the Future’s ProtestSign.org, which can turn any phone, tablet, or laptop into a light-up protest sign. 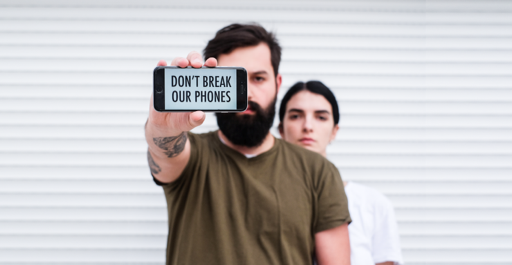 The protests will carry the message “Don’t Break Our Phones” and “Secure Phones Save Lives”. The FBI is asking Apple to write software that would disable one of the iPhone’s most important security features, which deletes data on the phone after 10 wrong password attempts. If they succeed in forcing Apple to do this, it would create a backdoor that could be used on all iPhones, and open massive potential for security breaches and cyber attacks. The Facebook event for the protest was launched this morning, and will soon list specifics for events being planned in each city. The protests will happen in a 100% grassroots fashion, organized by Fight for the Future members in each city who will step up to bottomline each event. The group used similar tactics last year to organize widespread rapid response protests in support of net neutrality.